There are many third-party tools that you can use in place of iTunes to manage and transfer your iOS 12 iPhone media effectively. Apart from providing basic transfer features, these alternate softwares offer many additional features to make your file transfer experience seamless and fun. 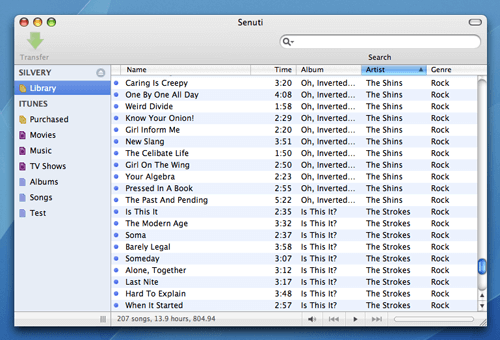 Senuti is one such software that makes it easy to transfer music from an iDevice to computer. But is it a good one? Let's check it through the full Senuti review. Senuti is a superb media library manager that offers all the required features to help you transfer your iOS 12/11/10 iPhone/iPod music, podcasts, and movies to your computer. Furthermore, you can also transfer files to your iTunes library and save them in a separated folder for easier access. Supporting MacOS X 10.5 and above, Senuti offers many additional features such as helping users to rip iDevice media library to PC, create backups, and much more. Recover your iPhone music efficiently and quickly within a few simple clicks. You can transfer your music and all other related stuff such as cover art, play counts, ratings, playlists, podcasts, videos, etc. via this software. Senuti promises safe transfers, which means you can transfer files between your iDevice and Mac without worrying about erasing any data in the process. Senuti is a solid option for those users who just want to copy and backup the contents of their iDevice or transfer them to Mac/iTunes and nothing more. Overall interface of the software is quite simple and user-friendly. File transfer speeds are pretty good. However, there are better alternatives available in this regard. Senuti doesn't support Windows. There hasn’t been any version released for Windows platform yet. The software does not support iPad devices, so users who want to manage their iPad media may not find this software much useful. While Senuti is a good music management tool, it cannot manage photos. You will have to use a separate software for managing photos, which can be a hassle. Although the software interface is simple, the lack of labels and icons on the interface makes it difficult to identify files quickly. Some users have reported that Senuti sometimes crashes when selecting the Advanced Preferences tab. This bug could be a headache for frequent users of this tool. iMyFone TunesMate is one of the best alternatives to both iTunes and Senuti. It offers tons of useful features when it comes to managing and transferring files between iDevice and computer. 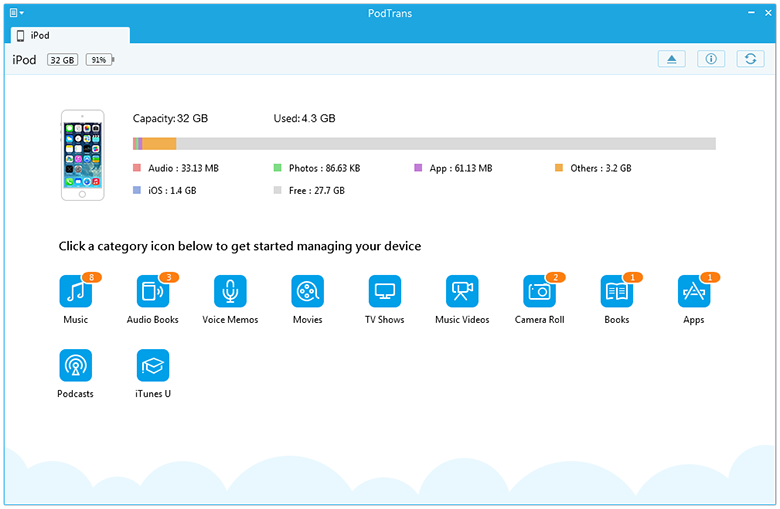 Compatible with both Windows and MacOS platforms, TunesMate has a very neat and user-friendly interface that allows users to quickly learn how to use this amazing tool to cover their iDevice file management, backup, restore, and transfer needs. iMyFone TunesMate supports all iDevices. 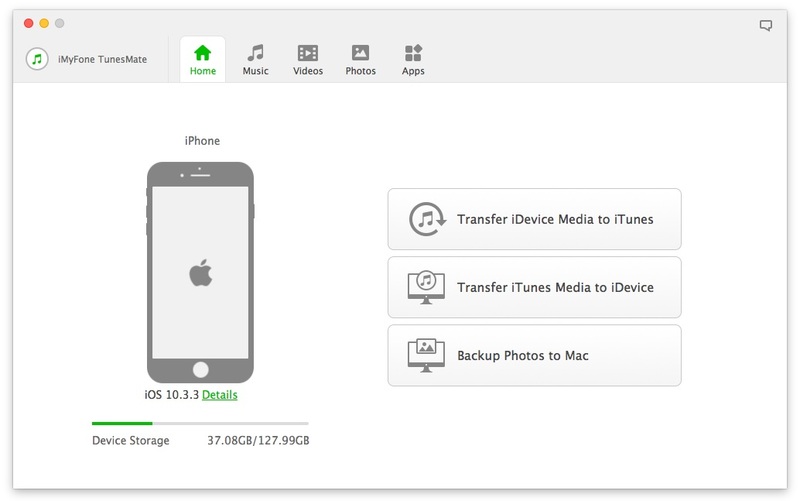 Transfer files from your iOS 12 Device to iTunes/Windows PC/Mac and vice versa conveniently. Over ten types of media are supported for transferring, not just music. Transfer both purchased and non-purchased music with this software. There are no restrictions. 1-Click features to quickly backup and restore all your iPhone media. Rebuild your broken/corrupted iTunes library and share it with your friends and family regardless of whether they are using the same Apple ID or different. Preview media files before transferring. Uninstall apps and bloatware in bulk. PodTrans is another reliable iDevice file transfer tool that provides everything you need to transfer your iPhone music to your Mac or Windows PC easily. You can use this software to transfer your iDevice music directly to your Mac/PC without worrying about any data loss or data overwriting. Apart from this, PodTrans also allows full control of audiobooks, podcasts, TV shows, and more on your iDevice effortlessly. Transfer music from your iDevice to your computer and vice versa with two-way transfer feature of PodTrans. No need to launch iTunes in order to transfer and manage your iDevice files. PodTrans allows you to drag and drop files without erasing your previous data. This software is completely free to download and use. Create backups of your music quickly and restore them if either your iDevice or computer suffers a data crash. PodTrans cannot rebuild damaged or corrupted iTunes library. No support for importing/exporting photos from iDevice or managing them in bulk. While PodTrans does not require you to launch iTunes in order to work, it does however need to be connected to iTunes so you will have to make sure that iTunes is installed and properly working on your computer. Therefore, this software is not a good option if you want to completely avoid iTunes.